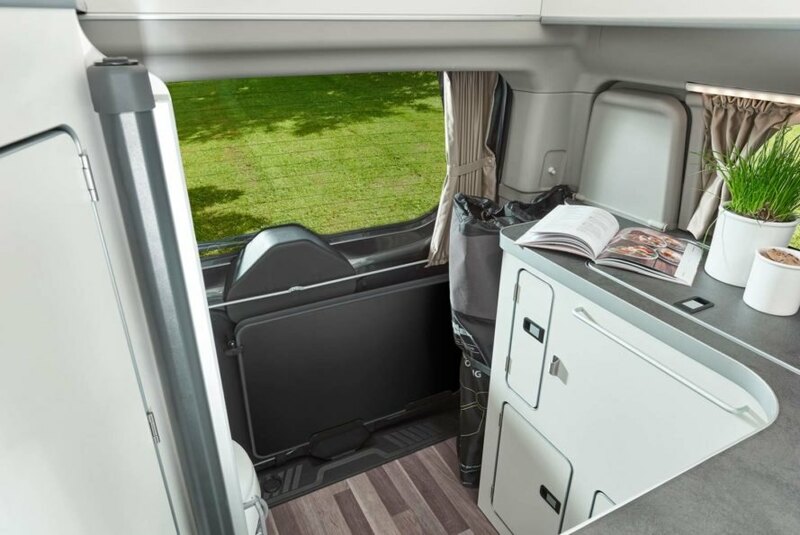 Compact camper vans have come a long, long way since the ’50s and ’60s, when the only amenity was a mattress tossed on a cold steel floor. 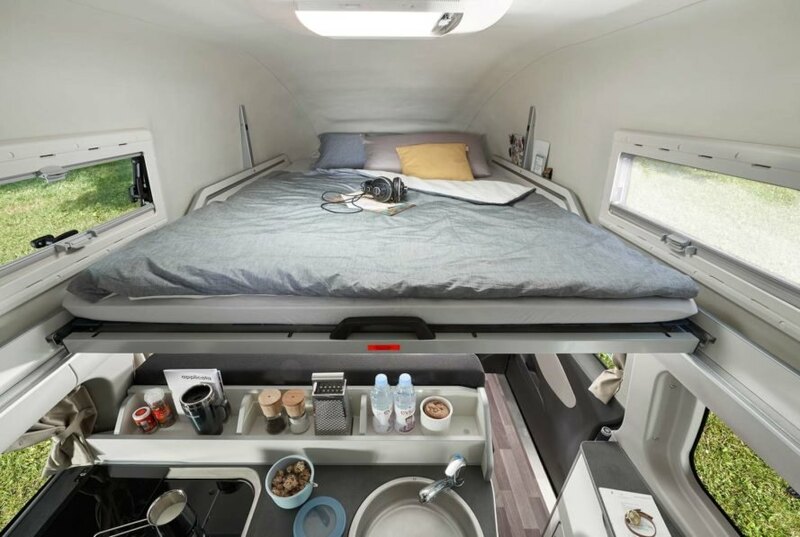 RVs have upped the ante with stoves, sinks, and makeshift showers and toilets, but traditional vans lagged behind with no toilets, a major inconvenience for many who love living on the road. The Nugget Plus, a new camper van from Ford and Westfalia, is here to change that. 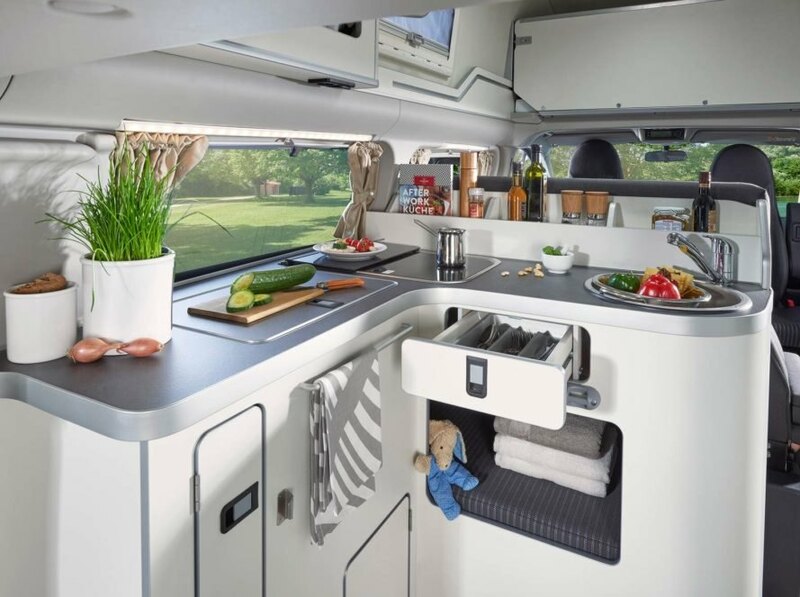 Westfalia and Ford have joined forces and designed the Nugget Plus, a camper van that has the normal trappings of a kitchen, as well as a double bed in the pop-up roof and one that rests atop the dining table at nightfall. 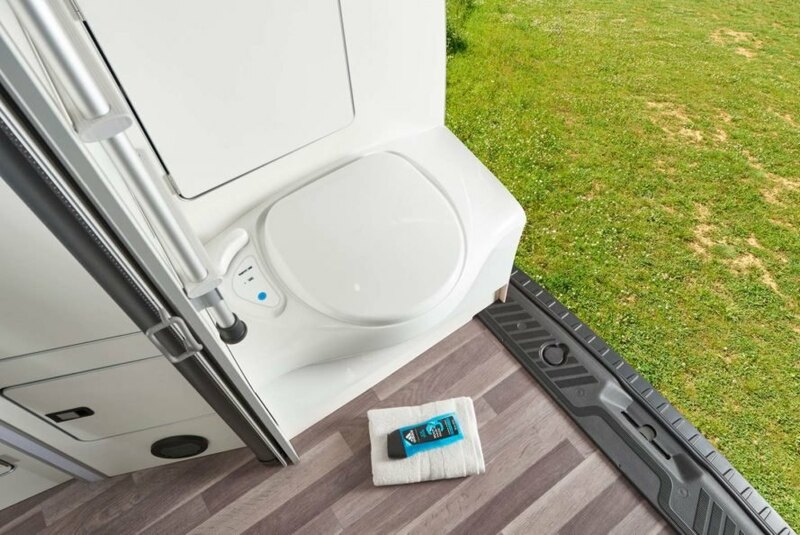 It goes above and beyond other camper vans, though, by including the coveted feature of a toilet. Due to space restrictions, the toilet is located in the kitchen area. It includes a retractable screen for visual privacy, and a small drop-down sink sits opposite the bathroom. 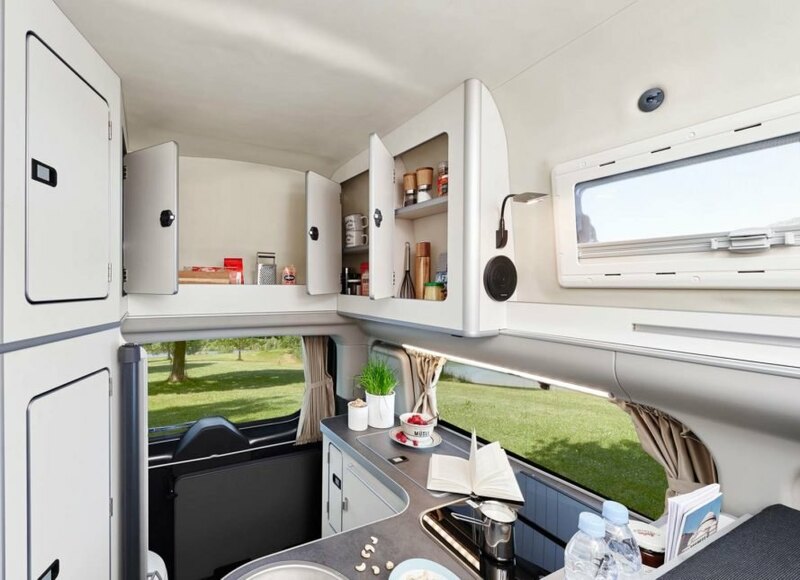 In addition to its unusual toilet feature, the Nugget includes dining space for five people, a fridge and a two-burner stove. The Nugget also has two 11-gallon (42-liter) fresh and waste water tanks and an EcoBlue Euro 5 diesel engine. And if you happen to have $72,500 to spare, it could be yours. Is inhabitat a USA website? If so would it not be helpful to mention that this camper van is a Europe only offering? I know this already, but I'm sure many people may not realize this as the Ford Transit is also available here in the USA. 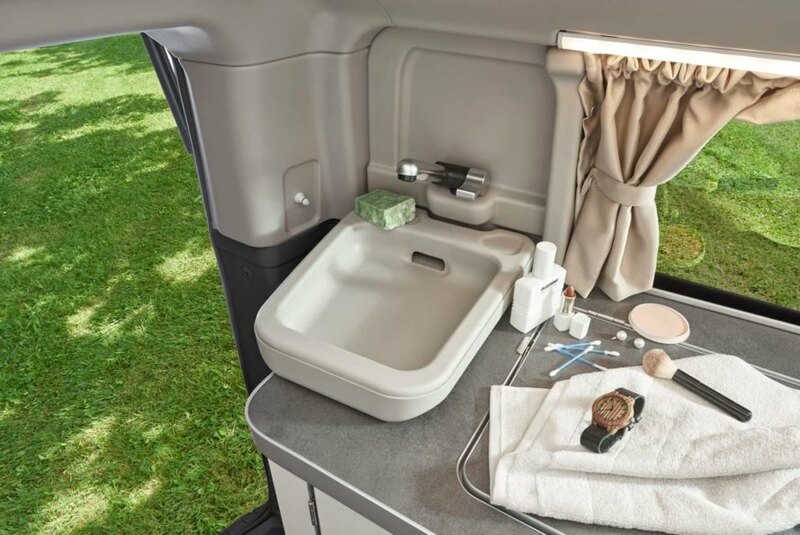 The Nugget Plus is a camper van from Ford and Westfalia that features all the typical amenities--and an in-van bathroom. An outdoor view that beckons. A sink for easy clean-up. Plenty of storage for food and other necessities.